Okay! 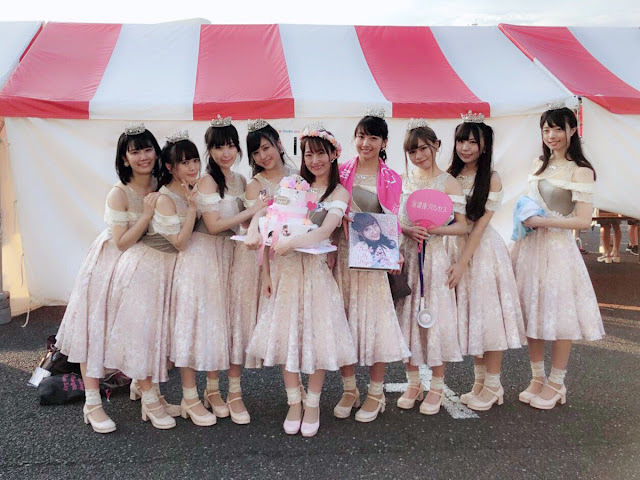 Musume Time: The Story Ends Where It Began: Kojima Mayumi Graduates Houkago Princess on the TIF Dream Stage. 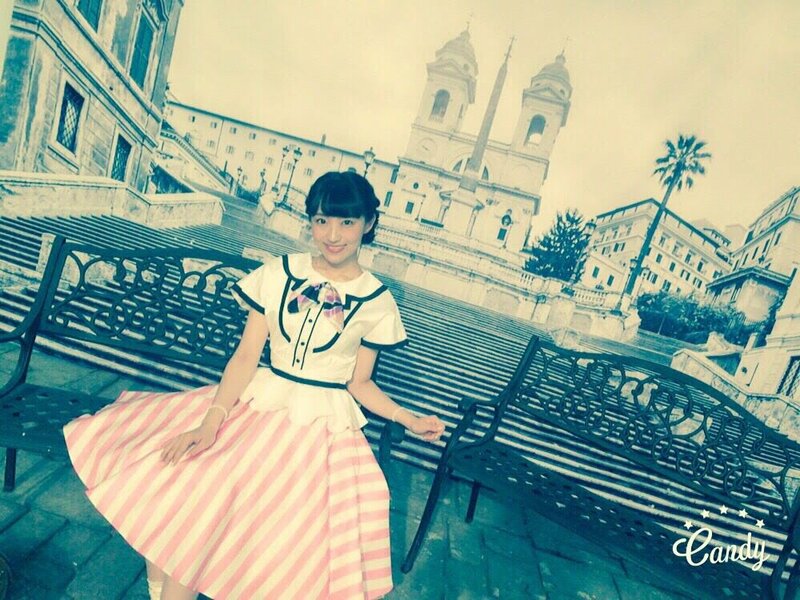 The Story Ends Where It Began: Kojima Mayumi Graduates Houkago Princess on the TIF Dream Stage. 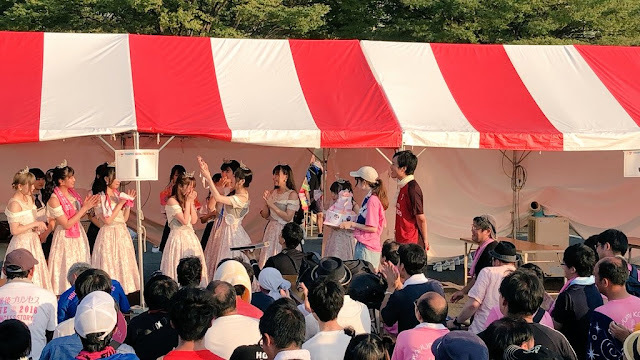 On August 5th 2018, Kojima Mayumi ended her very own fairy tale in the very place it began: Tokyo Idol Festival. Three years ago she stood as a trainee member in HouPri YOUTH, but a year later at Tokyo Idol Festival 2016 Mayumi was promoted to the Regular Lineup. Now, two years later, it's this very event she delivers her final curtsey and last farewell as she writes her final chapter and closes the book. Today, she becomes alumni royalty. And from today onwards I will miss her greatly. 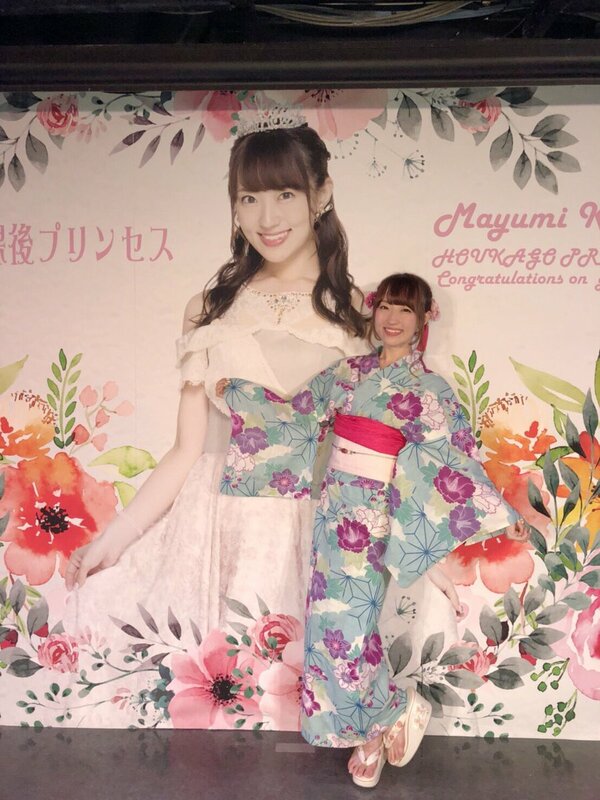 Looking back at when Mayumin's graduation was announced, I can honestly say that I didn't expect her to graduate so quickly. At the most I anticipated having her as a member of HouPri until August 12th, similar to Himarin, but it seems like Mayumi herself is a lover of all things heartwarming and cheesy, given how she chose to leave at the very event she was promoted. It's a storybook ending if ever there was one, and I can't help but think of that one J.K. Rowling quote - "I open at the close." But it's also bittersweet to know this is how Mayumi wanted to graduate. Sweet in that it showcases Mayumi's fondest memory as her promotion and that TIF holds great importance to her. Bitter because she decided not to hold it during a one-man live exclusive to fans, yet sweet because it satisfies this idea of a storybook end and a fairy tale that closes where it opened. In so many ways this is a fitting farewell, but it's odd as well. Still, after realising why she did it this way I can't help but think 'Mayumi is really original and cute'. She actually feels like a Princess from a fairy tale right now, but I suppose it's a part of her character to be a little cheesy and cute. I like what she's done, I think it's one of the most unique ways to graduate from Houkago Princess. Each member has their own way of leaving a mark, and for Mayumi this was it; she had to leave on the ground that she truly began her journey two years ago. 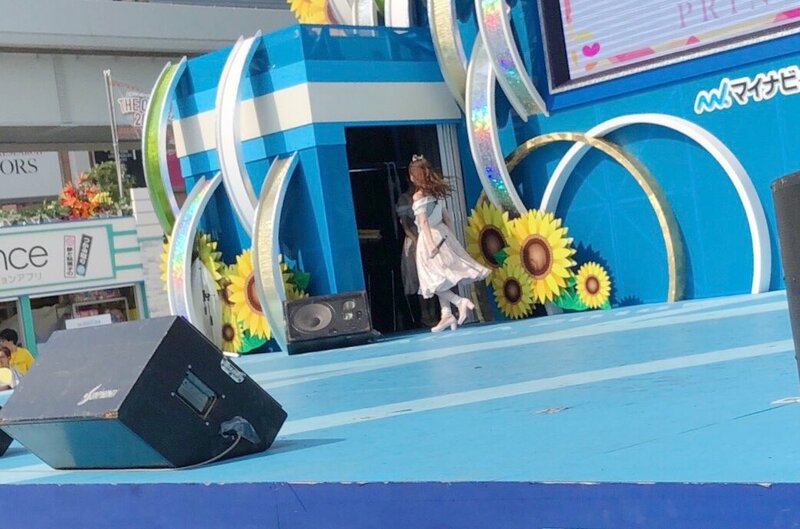 And yet despite the happiness I feel knowing she gave her final performance at the event that changed her life as an idol, I can't help but want to cry knowing that she left in such a memorable, innocent way. Mayumin is pure and sweet, she has a wonderful smile and a beautiful presence. From the moment she joined I was endeared to her, and despite never being able to meet her, she is an idol I adored. 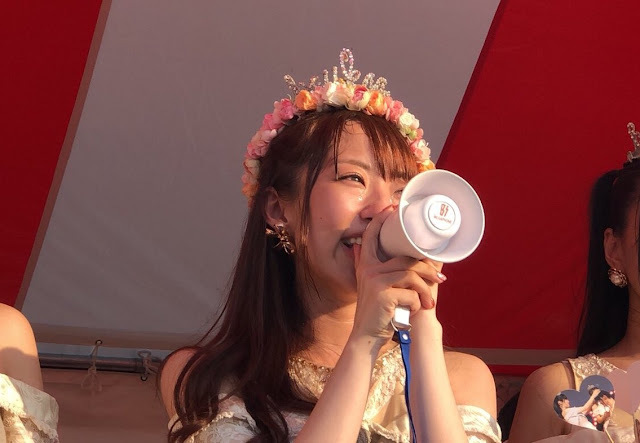 I was so happy when she debuted - she became my favourite member of Houkago Princess when she finally debuted as a full member (despite me saying I haka-Oshi the group aha) - and I found her dazzling. Despite never being given big solo lines or a front position, Mayumin stood out to me and she made me happy. That's what idols do, right? So when I heard she would graduate, the first thing I did was cry. She hasn't been a member as long as others, but even when I heard Himari was graduating I didn't cry. I guess it's because I really do adore Mayumi, and since I learned of her graduation I have been dreading the day it happened. Of course I thought it'd be on the 12th, but no, it's far sooner. Before I knew it, Mayumin has graduated and I just don't know what to do. But I think that the way she has graduated is a merit to her character and her charm. The purity of her choice showcases her love of TIF and the memories it holds. The words she has expressed regarding her time within HouPri alludes to her nostalgic nature, and the way she leaves us only enhances just how sweet and memorable she is. Even the way she leaves us is refreshing and, despite my sadness, I feel like this is the perfect ending to Mayumi's story. The years may have been short, but I am thankful I became a fan of Kojima Mayumi and her smile. She is bright and sweet, a fun individual and someone to watch out for. I think the saddest part is that now I know I may never meet her in person, but this is the idol world; she may return someday soon, whether she joins another group or returns to the gravure industry where she began. But whatever she does, know this: I hope she is happy and that she lives a fulfilling life, one where she is confident and comfortable. No matter what she does, this is what I hope for, and I won't ask for more. And now we come to the end of another chapter in the Houkago Princess tale, but for Mayumi it's time to close the book. Even though she has been a part of this lineup for two years, there are still two years' worth of memories, smiles, laughter and performances to look back on. Regardless of whether she stood at the front or in the back, here stands an idol who dazzled even when she couldn't be seen. A ray of light and a hopeful being, Kojima Mayumi is an idol I love and will miss dearly from this day forward. All I can say now is thank you, and keep working hard towards a new future and a new story that is completely yours. I will shine until the last bell rings." The tiara will stop glittering. The glass shoe will become ordinary again. For all you have done and the memories you have created with Houkago Princess, Staff members, fans and everyone else, thank you. Good luck Mayumin. I will miss you.